Looking for more tips on how to shop in Paris like a local? Be sure to get our 2019 INSIDR Paris Shopping Guide! When shopping in Paris, budget can be a concern. The good news is that Paris outlet malls, fashion depot and factory outlet stores can be found in Paris city center as well as in the Paris region usually selling previous collections with discounts of up to 70%. The biggest brands are available. 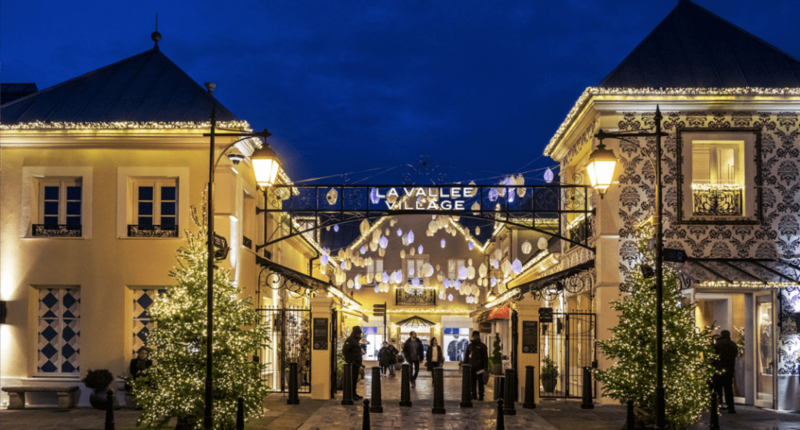 With discounted French luxury brands and international fashion brands, these outlet shopping centres are a must-go to for savvy shoppers in Paris. Easy to reach from Paris city center by public transportation or with shuttle buses. 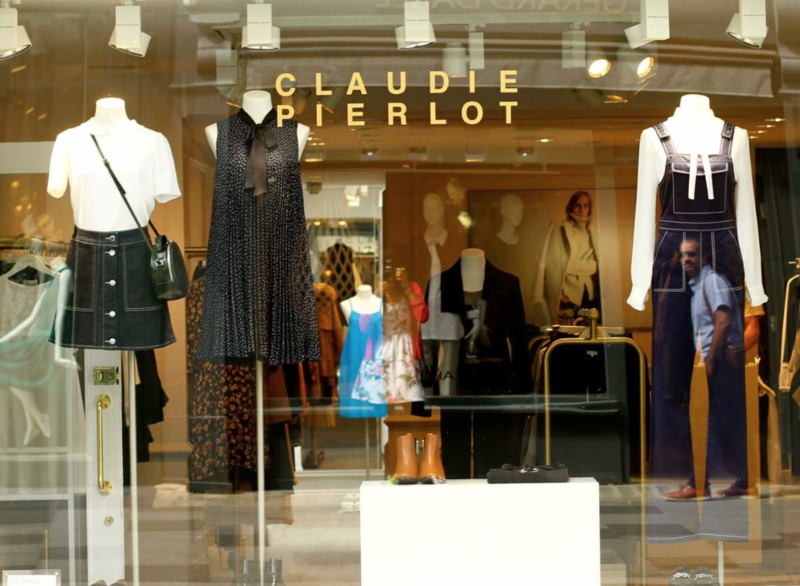 To help you plan for cheap and fashionable shopping in Paris, check out our top tips for cheap and fashionable shopping in Paris including outlet shopping malls in Paris region, and our selection of the best factory outlet stores in Paris city center. 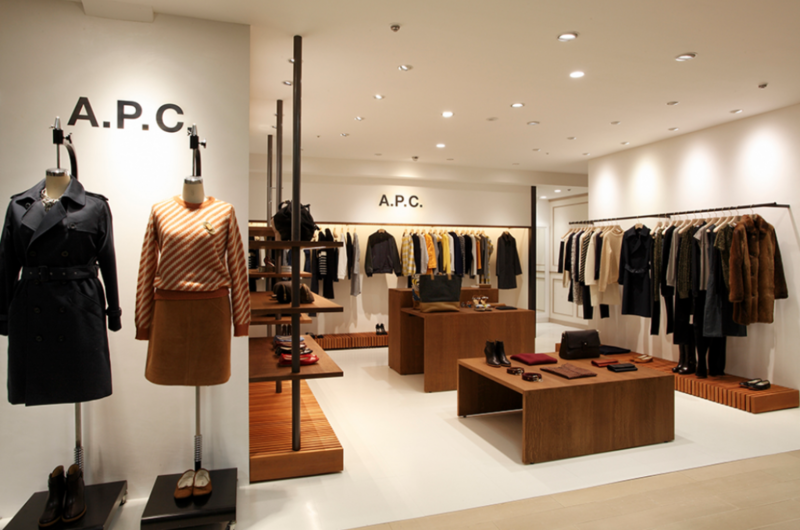 For more tips about shopping in Paris browse our Top Paris Shopping guide. 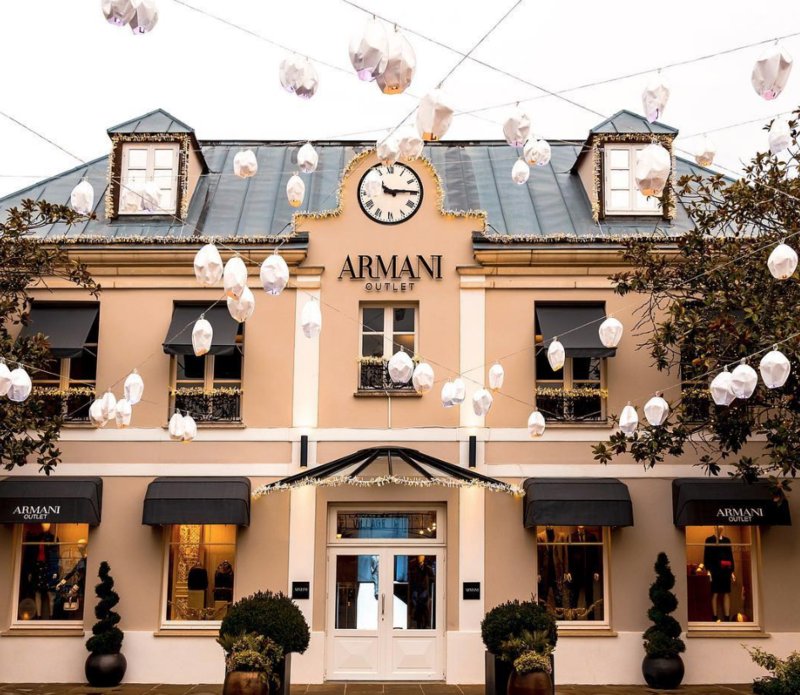 There are a few outlet shopping malls in the Paris region where many brands sell their past collections for discounted prices. It is extremely interesting to go shopping there. Here are the main outlet malls and how to get there. 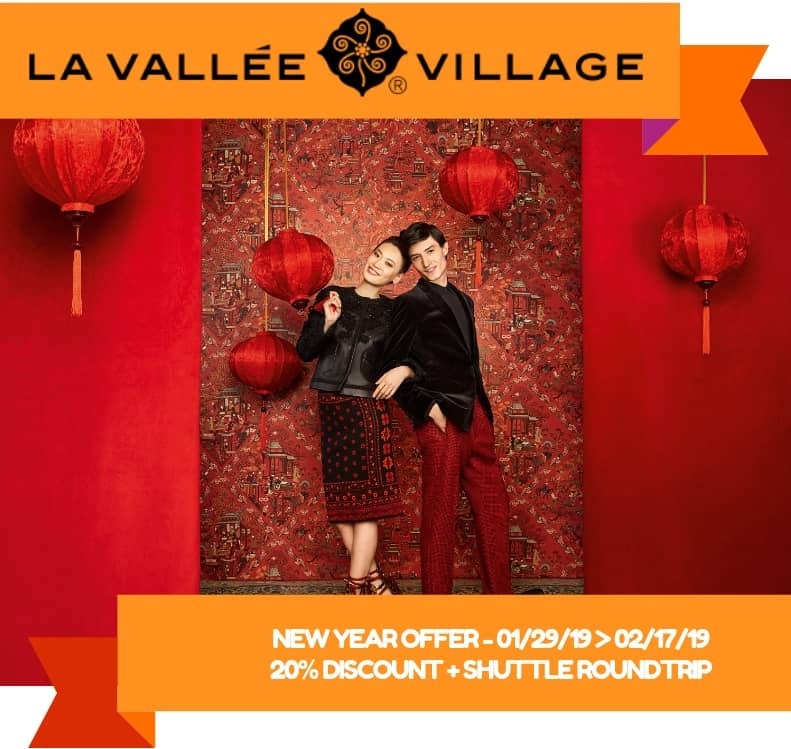 Go to Parapharmacie Monge store near Notre Dame – the one-stop-shop for beauty and health in Paris – and get a red envelope with a special New Year offer for La Vallée Village! 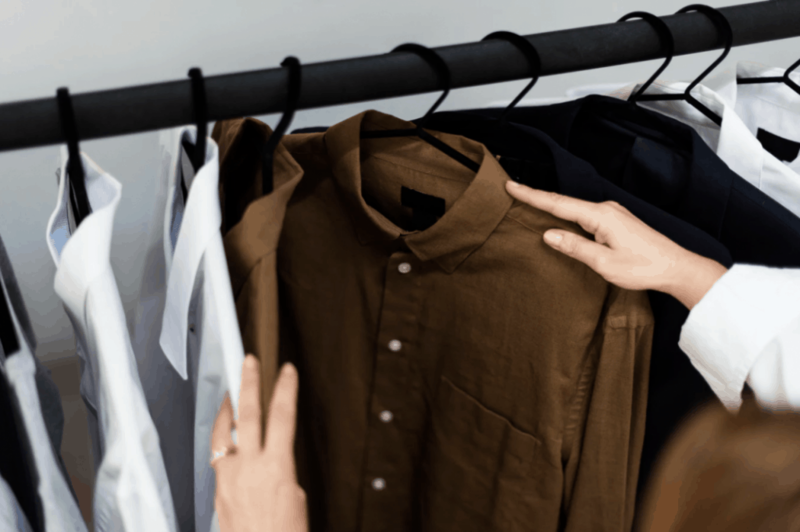 You will get 20% of extra-reductions on leading brands’ Spring/Summer collections in a selection of more than 70 boutiques – a VIP Card offering a 10% further reduction in six boutiques of your choice. And get a free roundtrip from Paris in the Shopping Express® shuttle. Metro stop: Monge (Line 7) – Locate Parapharmacie Monge Notre Dame on Google maps. More than 110 brands are available at La Vallée Village. Including luxury brands, high street fashion brands and also sportswear brands. Ladies, get excited about shopping at Céline, Jimmy Choo, Burberry, Marc Jacobs, Anne Fontaine, Sandro, Max Mara, Moncler, Dolce & Gabbana, Zadig&Voltaire, Longchamp, Sonia Rykiel, Versace and Ba&sh. Gentlemen, there are also a tons of very nice brands for you: Café Coton, Fred Perry, Paul Smith, Diesel, Calvin Klein, Hugo Boss, Ralph Lauren, Tommy Hilfiger. There are also plenty of stores for children and even for special occasions like wedding! La Vallée Village is open daily from 10 AM to 7 PM and on Fridays until 10 PM except. It is only closed on January 1st, May 1st and December 25th. It is usually busier on weekends and during the Christmas holidays. 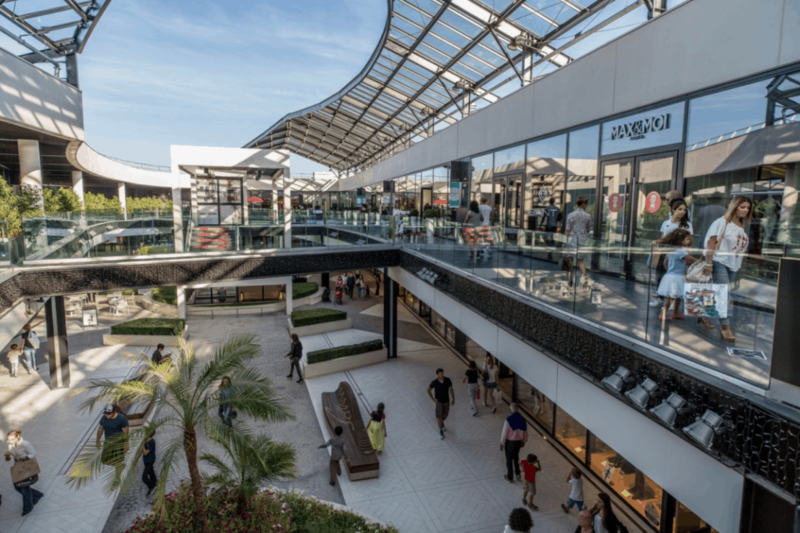 To have a great and more relaxed shopping experience at La Vallée Village, we recommend getting there early in the morning. 1- By train from Paris – Take RER A in direction to Marne-La-Vallée-Chessy / Parcs Disneyland. Get off at Val D’Europe/Serris-Montévrain (the stop before Disneyland). Once you exit the station, turn right, cross by Val D’Europe shopping and you will reach La Vallée Village. 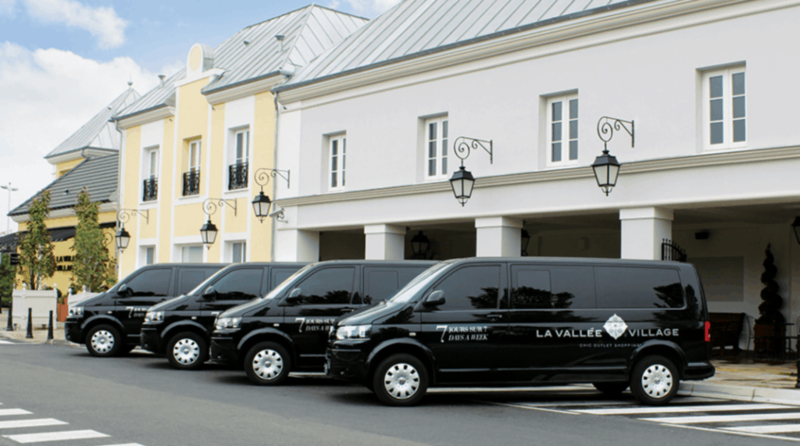 > Check out this itinerary from Paris city center to La Vallée Village using public transportation. To help you plan out and use public transportation in Paris download our Paris Public Transportation pocket guide 2019. 2- By Shopping Express Shuttle bus – the shuttle bus departs twice a day from Rue des Pyramides in the center of Paris at 9:30 AM and 1 PM. Returns are at 4 PM and 6:45 PM. Tickets costs 25€/Adult – 13€/Child. 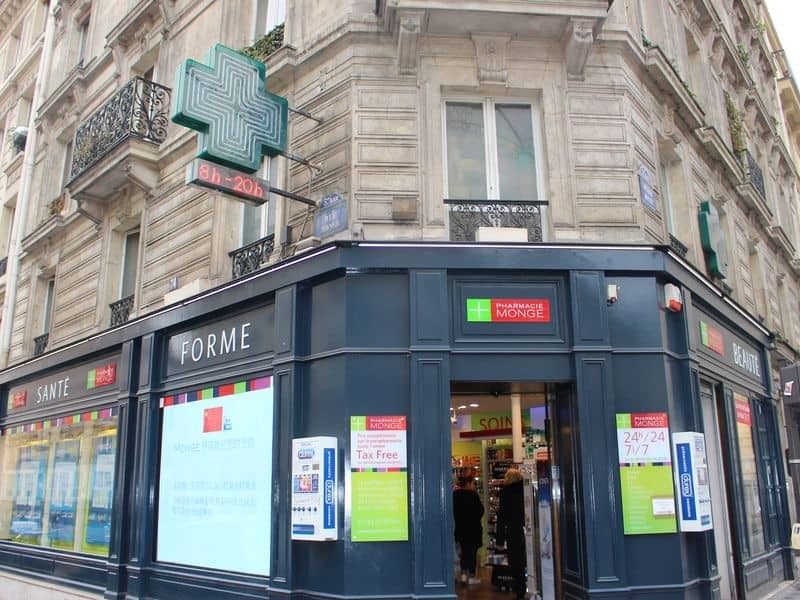 But until February 17, 2019, you can ride the Express Shuttle Bus for free + shopping discount vouchers when you stop and shop at Parapharmacie Monge near Notre Dame! > Check out the shuttle schedule and get your tickets here. 3- By car – La Vallée Village is located at just 40min from Paris by car – the exact address is: 3 cours de la Garonne, 77700 Serris. One Nation is located near Versailles at Clayes-sous-Bois. 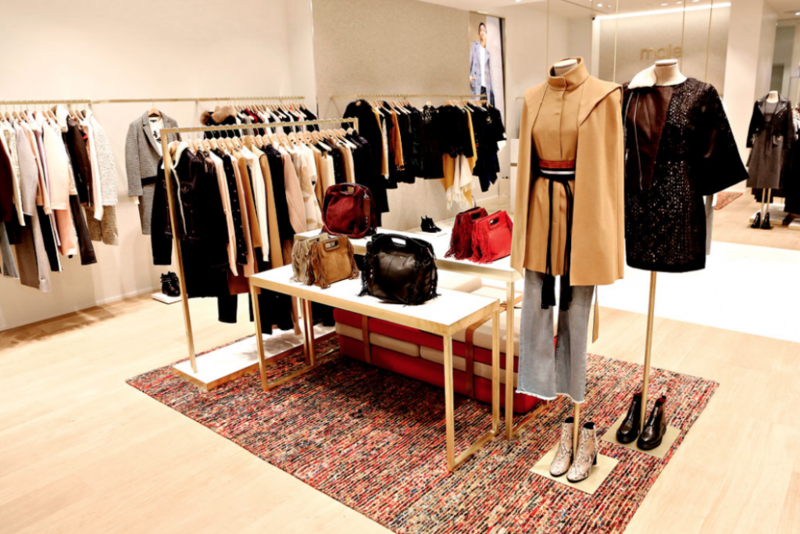 It gathers 400 brands with both international fashion labels and French ones, spread out in 90 stores. The mall has a nice modern architecture and there are restaurants and cafés. You’ll also find a ton of fashion and lifestyle brands in discounted from -30% up to -70% off. There are also many streetwear and casual wear brands as well as luxury labels. The mall is open daily from 10 AM to 8 PM and is only closed on January 1st, May 1st and December 25th. It is usually busier on weekends, during the Christmas holidays and the sales periods. For a quiet shopping spree at One Nation, it’s better to visit on weekdays. 1 – By train from Paris – Take suburban Line N from Gare Montparnasse in direction to Gare de Plaisir Grignon. Get off at Villepreux-les-Clayes, once you exit the station, take the bus 8 to One Nation. 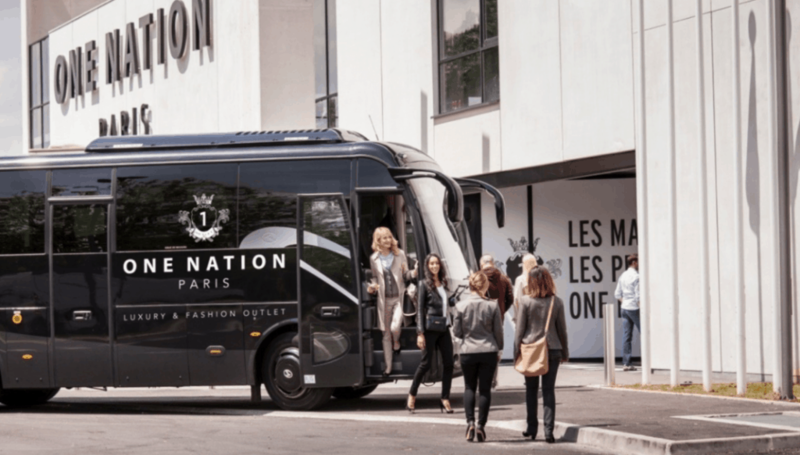 > Check out this itinerary from Paris city center to One Nation using public transportation. 2 – By One Nation Transfert – the shuttle bus departs twice a day from Tour Eiffel (Port de la Bourdonnais) at 9:45 AM and 1.30 PM. Returns are at 2:45 PM and 5:30 PM. Tickets costs 24€. Book your tickets here. 4 – Last tip, there is a great combined offer including tickets to Versailles Palace and trip to La Vallée Village by shuttle, book your combined ticket here. If you want to shop the best of French fashion at discounted prices but don’t have time to visit the outlet shopping malls, don’t worry we have you covered 😉 Check out our secret addresses in Paris city center to shop previous collections at discounted prices all year round. Located right by Forum des Halles shopping mall, Rue du Jour is a tiny street is a must-go if you are looking for French designers’ brands specialized in women’s wear at discounted price. Especially if you are looking for a nice and trendy cocktail dress for a special occasion, this is where you should go! Metro stop for Rue du Jour: Etienne Marcel or Chatelet-Les-Halles (Lines 1/4) – Locate Rue du Jour on Google maps. Right in the heart of Le Marais, Rue de Sévigné is Parisian women’s best kept secret for cheap and fashionable shopping in Paris. Metro stop for Rue de Sévigné: Saint Paul (Line 1) – Locate Rue de Sévigné on Google maps. At a stones throw away from the Sacre Coeur, don’t miss a chance to get the best bargain of your trip! Metro stop for Rue des Abbesses: Abbesses (Line 12) – Locate Rue des Abbesses on Google maps. Rue de Marseille hosts some of the best brands and stores for Men’s wear! It is also a great spot for women’s wear at a discounted price. You can benefit from tax refund when you purchase an item in France. You can get back some of the VAT of 20% which is included in the price of every purchase. This is called “detaxe” in French and you can get back 12% of the VAT tax included. To be eligible for detaxe, you must be from outside of the EU, be over 15 years old, and have spent at least 175.01€ in the same store, on the same day. The process is very easy. Just ask for your “detaxe” form at the store after purchase. You should get it stamped and signed. On the last day of your trip in France at any the airport, you will have to submit your detaxe form into a PABLO machine. Make sure you keep the detaxe form, the receipt, and your purchases. The refund will be operated sent back to your credit card directly within a few weeks. Another tip for savvy shoppers: There are a few stores where immediate cash-back detaxe is available. You can get an immediate refund on your card or in cash, meaning you don’t need to wait weeks until you get back your 12%! Here are 2 stores where the immediate detaxe is available. Galeries Lafayette Haussmann has an immediate detaxe machine at the Concierge desk. 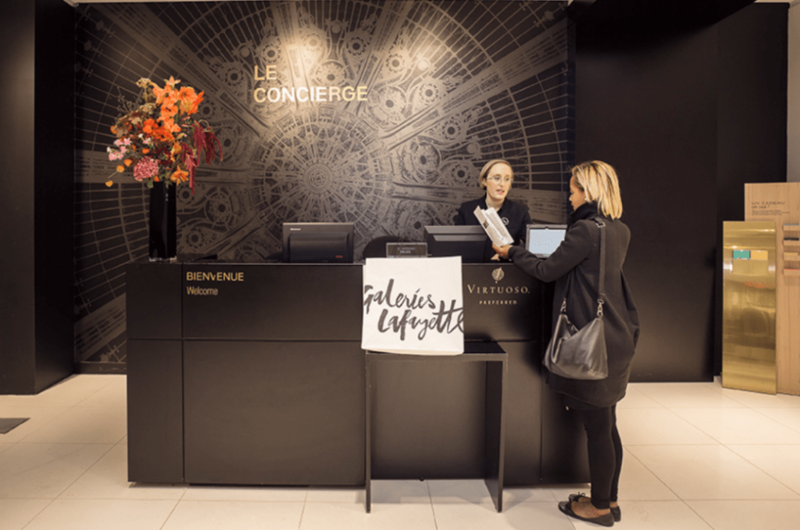 And the good news is we can provide a special voucher for you to access the Concierge desk – download our Paris shopping guide 2019 to get it! Parapharmacie Monge is the beauty and health temple in Paris. It is the one stop shop for beauty shopping in Paris. If you want to stock up on French skincare, French perfume, French cosmetics, Parapharmacie Monge is the place to go. You can get immediate tax refund and we even have an extra-discount for you! Download our exclusive voucher for 15% tax refund + extra 10% discount. 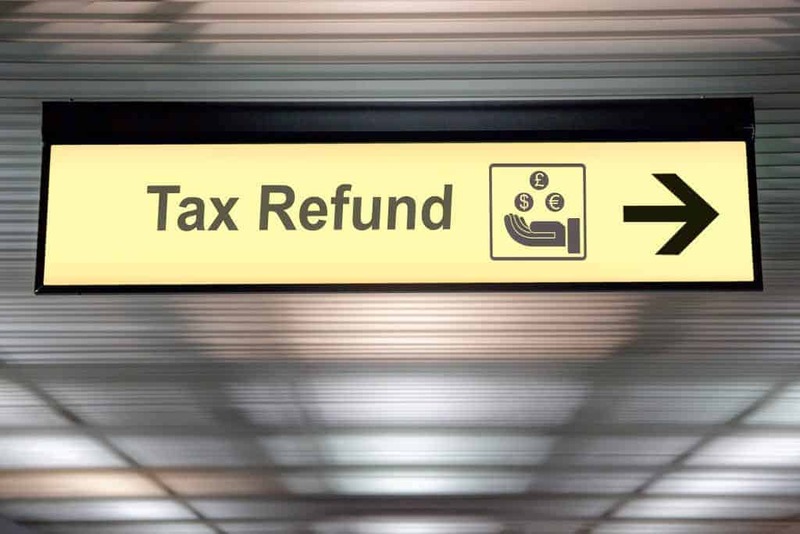 We also have a full article about detaxe in Paris and tax refund at the airport. And to Use the PABLO machine at ease check this tutorial video. 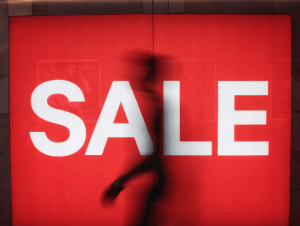 2 – Don’t miss the bi-annual sales! 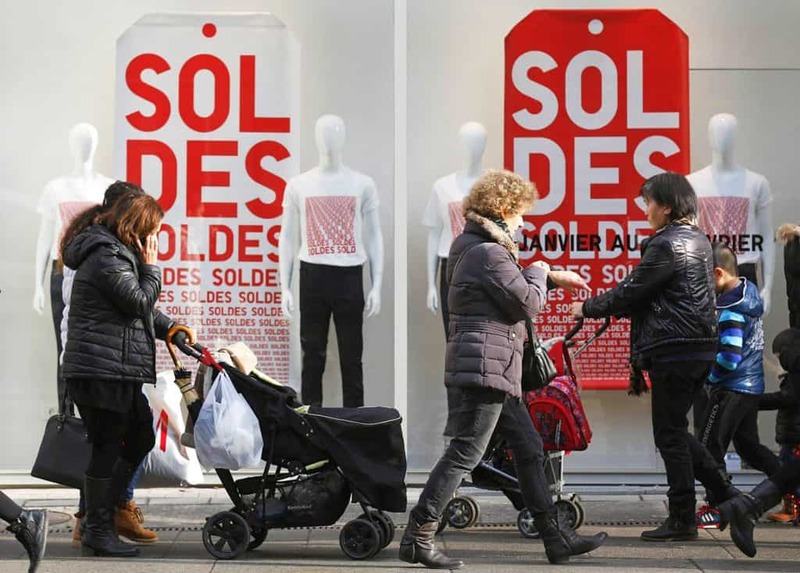 Twice a year in France for about a month, giant sales are happening! The first sales of the year are the Winter Sales which always start on the 3rd Wednesday of January and go on for about a month. The Summer Sales period will take place from the first Wednesday of July for about a month. 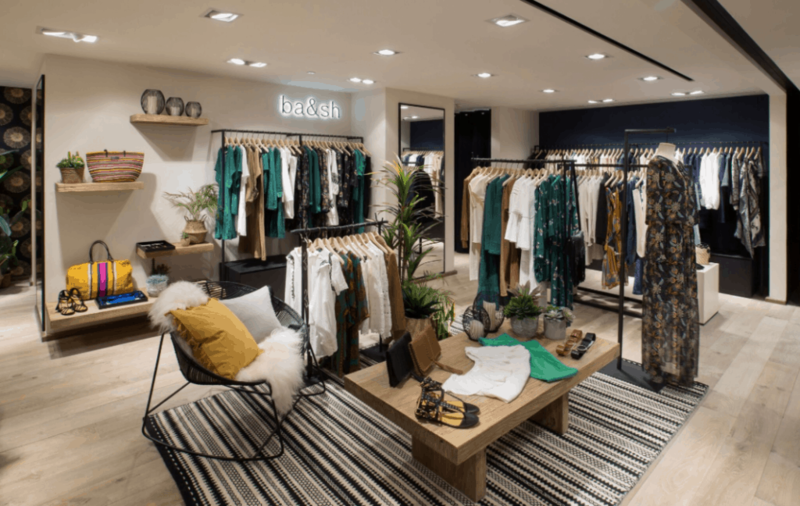 If you are planning for a full shopping trip in Paris check out our Paris shopping trip article and our make sure to download our INSIDR shopping guide 2019! For sales in Paris, nothing beats a shopping spree in Parisian department stores. And Galeries Lafayette Haussmann should be on your top list!